Hi there!! If you are looking for Ricketts Cricuts you are in the right spot!!! I decided to change my blog name to Puppies and Paper Crafts! I love it and if you know me you know I love my pups!! Its my day to share a project with you on the Jaded Blossom Blog! 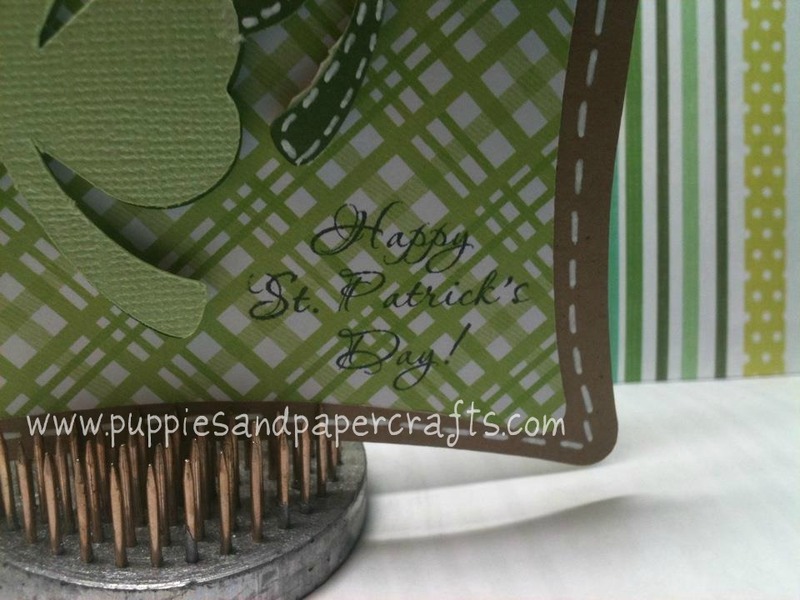 I decided to make a card for St. Patrick's Day! The card base is from the Close To My Heart Art Philosophy cartridge. 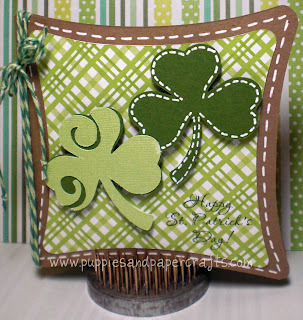 The Shamrocks are from the Celebrate with Flourish lite cartridge. I would love for you to come over and say hi on my New facebook page! I love this card! So cute Kim!!! Such a cute card. My favorite is the stitching on the clover. this is very cute !! 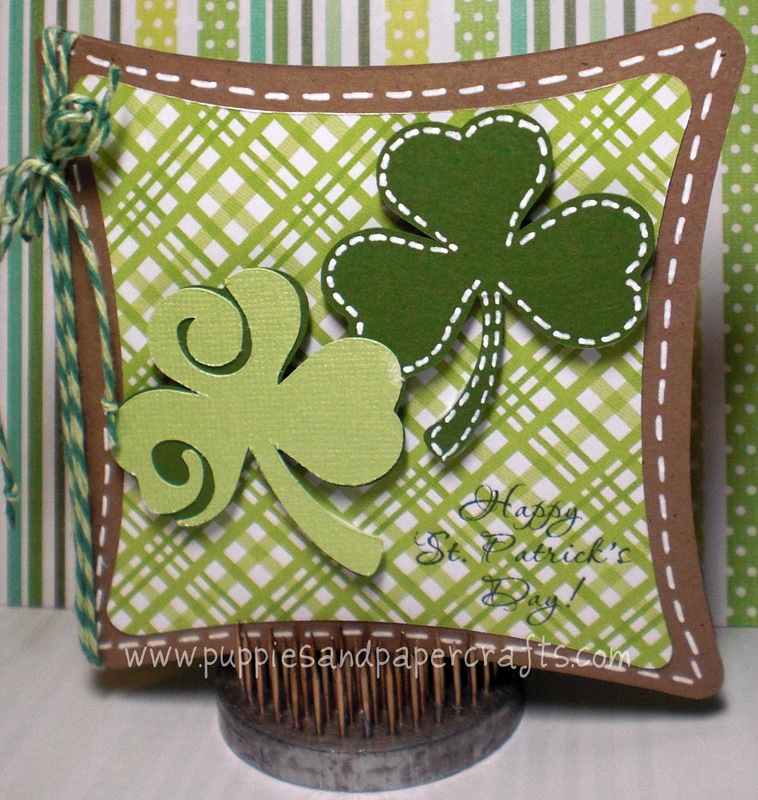 love the patterned paper and the shape card ! tooo cute !! Love the shape of this card and the paper you used is great! 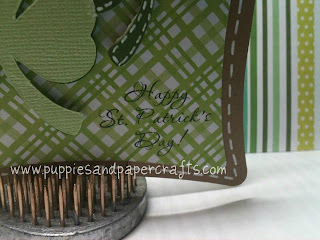 Pretty St. Patrick's Day card.